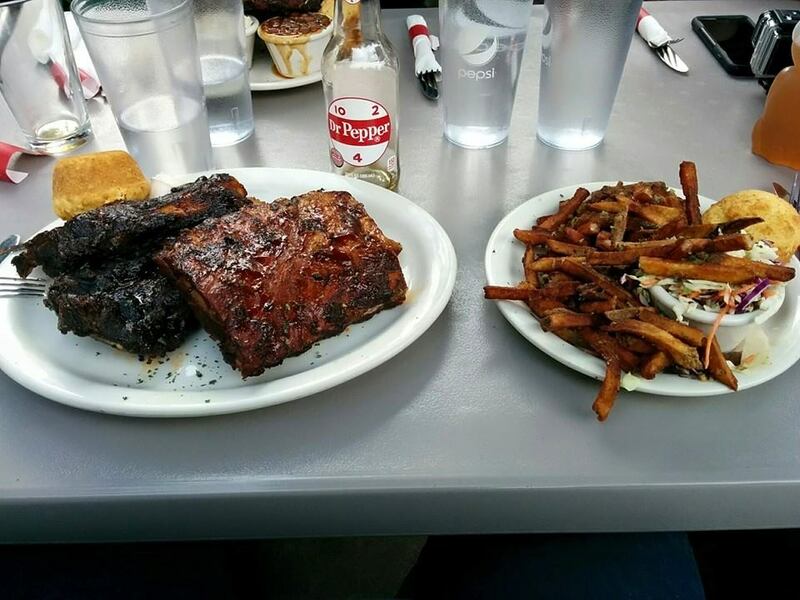 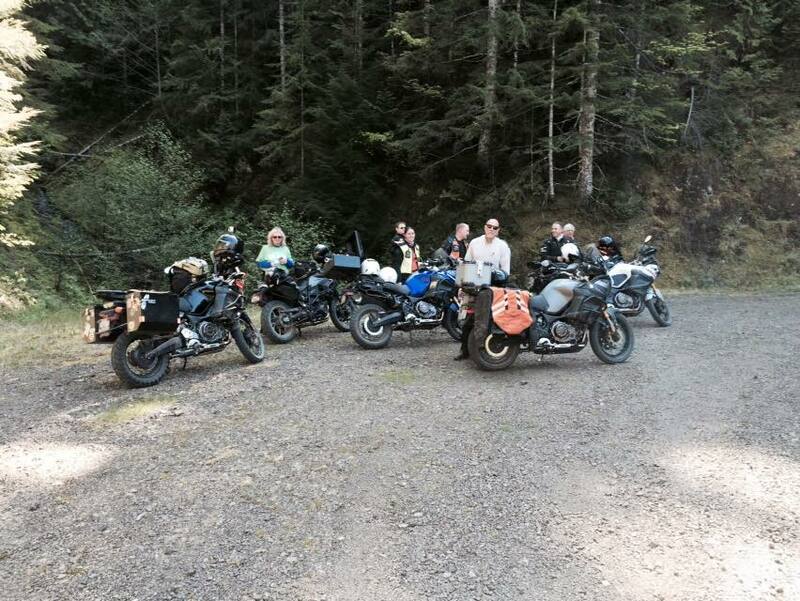 It was an awesome day for two different rides by our members! 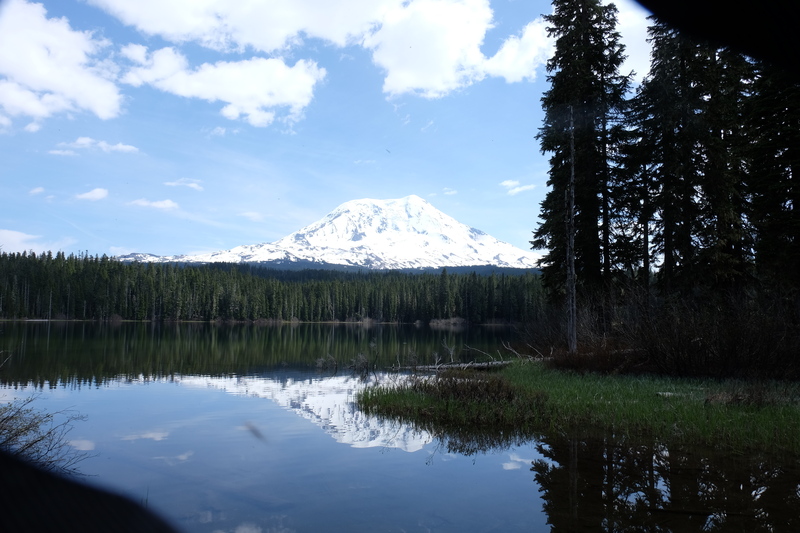 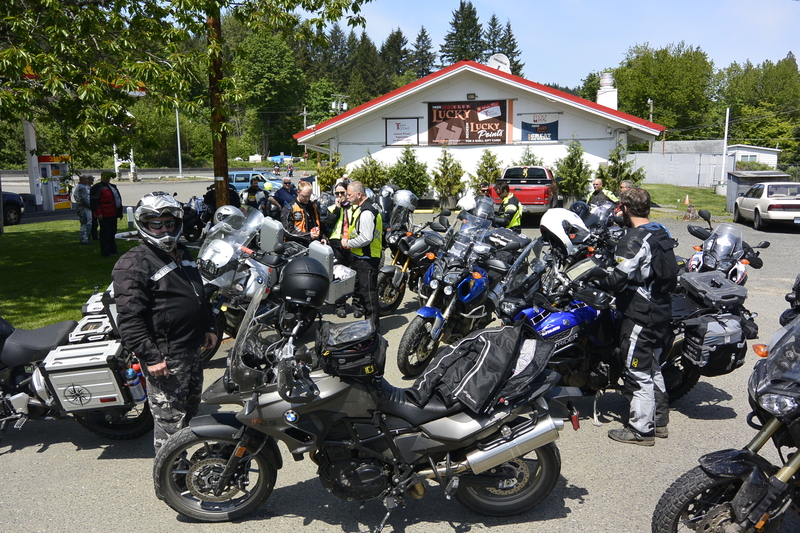 1st up, the Olympic NF ride……..
Back on the pavement along both sides of the Hood Canal thru Belfair and Union, we stopped on the Skokomish Indian Reservation for a top off of fuel and snack before heading into the woods. 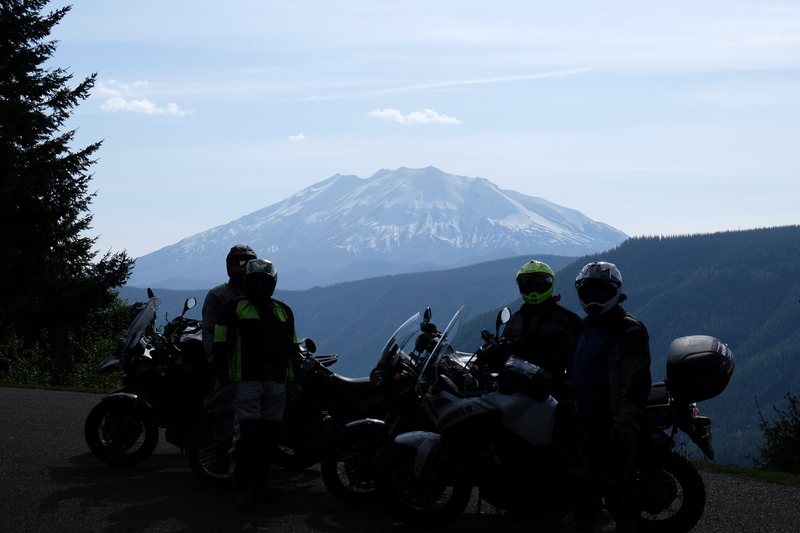 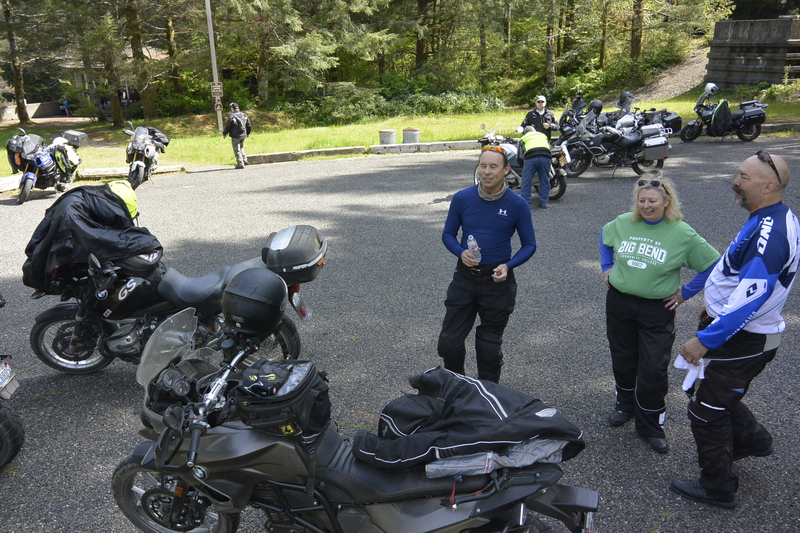 While we were there, a nice lady in a blue van pulled up and saw all the Altrider stickers on our bikes and asked if we had done the Altrider “Ride the Hoh” , it was Mary the awesome chef that helped make those events very memorable. 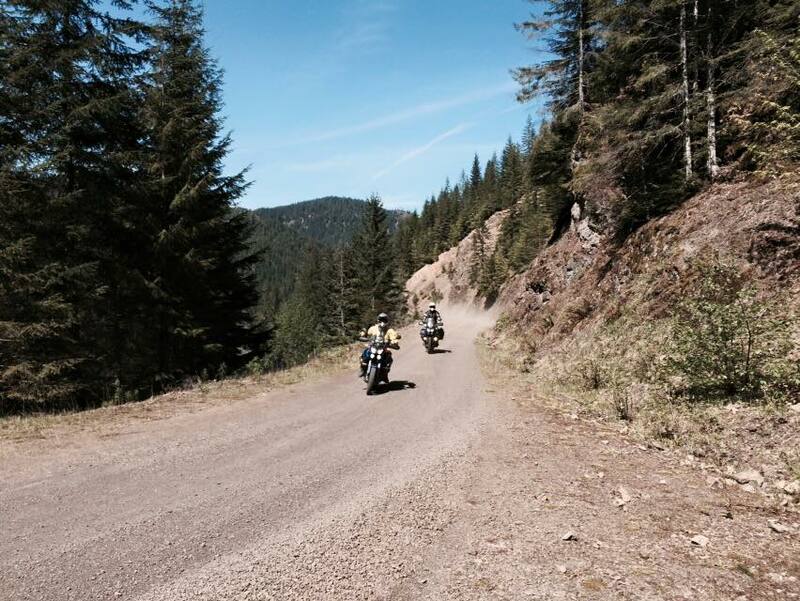 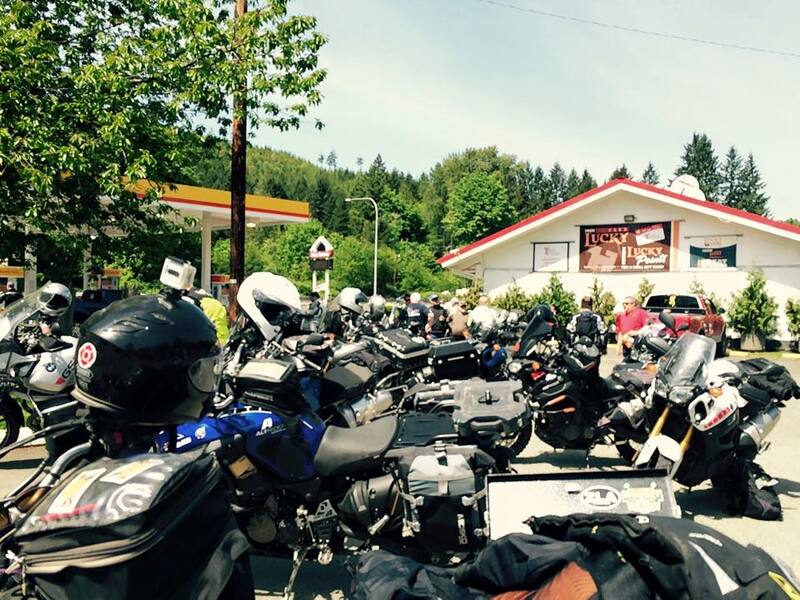 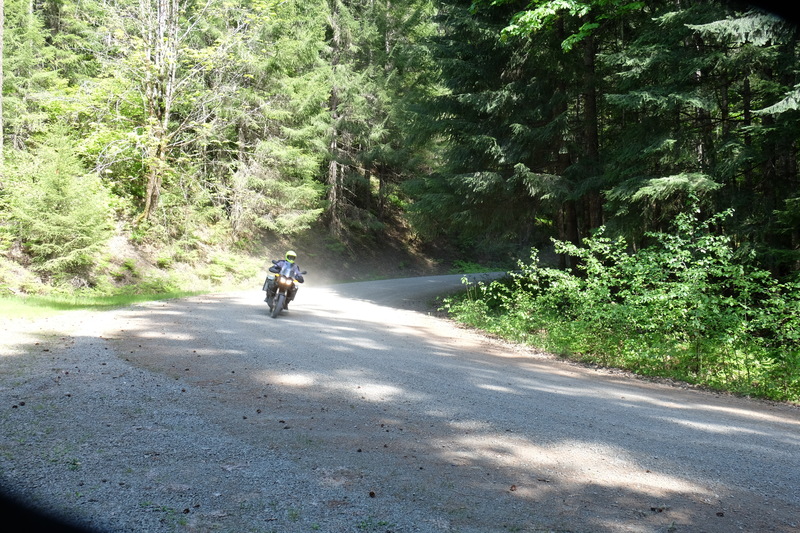 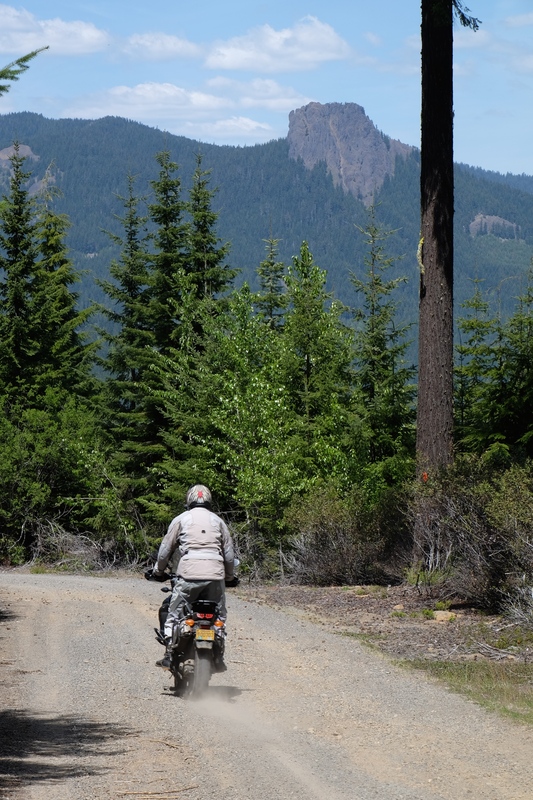 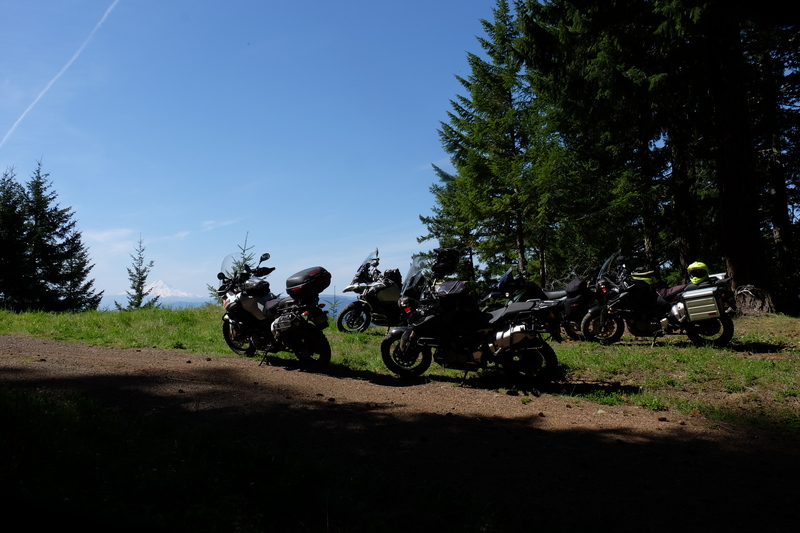 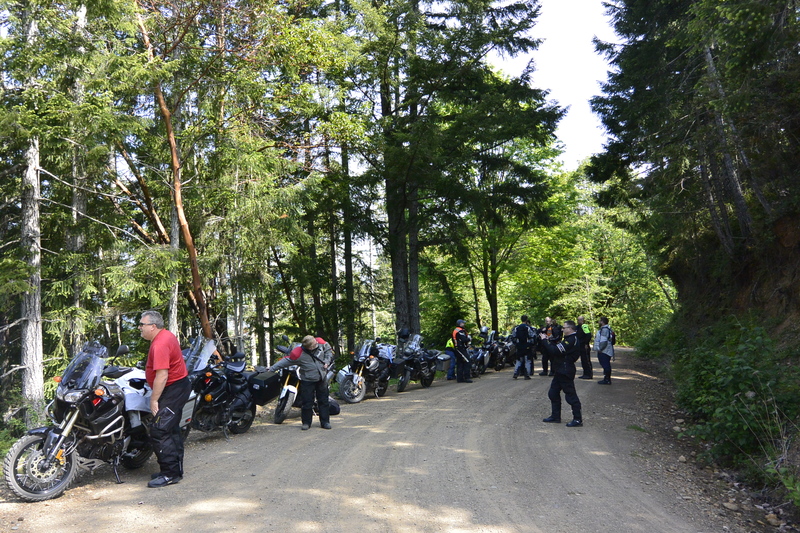 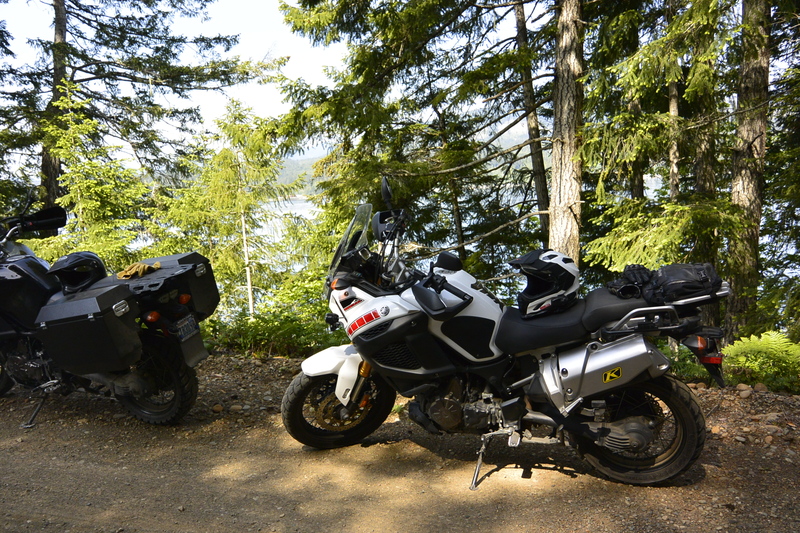 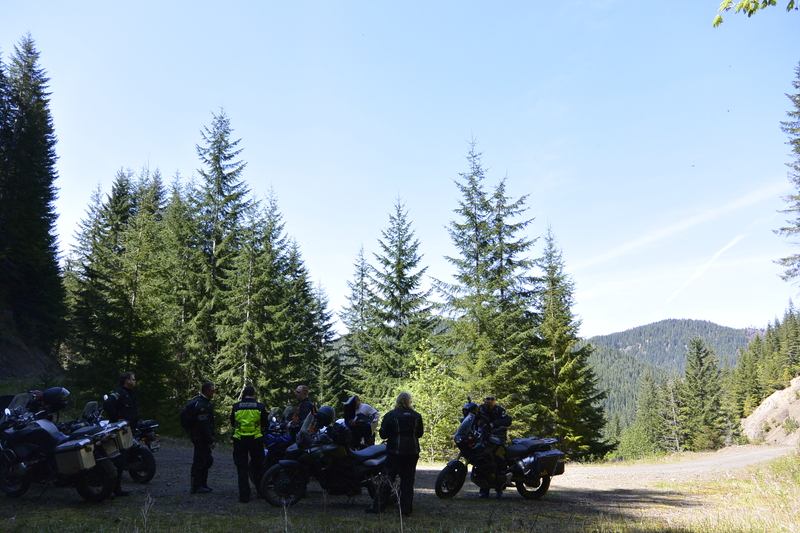 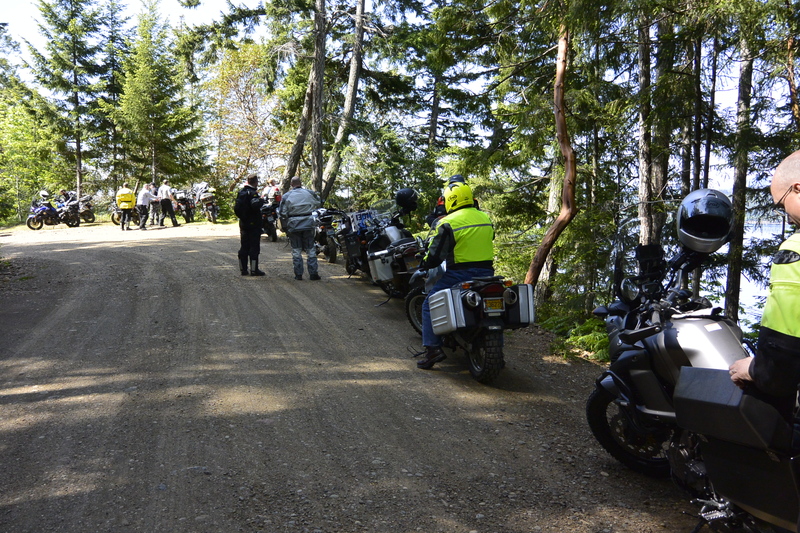 I’m still waiting on a few of the details but from the posts on Facebook it was a great(and eventful) day of riding section 1 of the WABDR with lunch at KJ’s Bear Creek Cafe in Trout Lake then up to Packwood, over to Randle and down the newly opened Forest road FS-25. 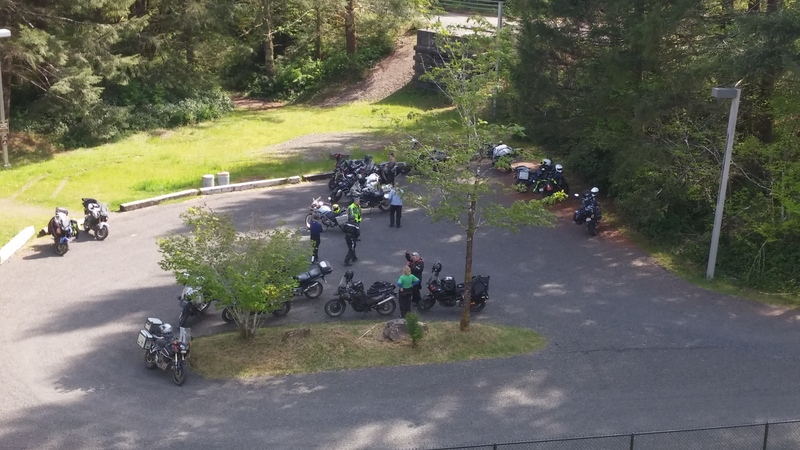 On Facebook they told of an unlucky/inexperienced Goldwing rider wearing only shorts, tank top and nazi style novelty helmet that Don and Paul found on their way down to Carson. 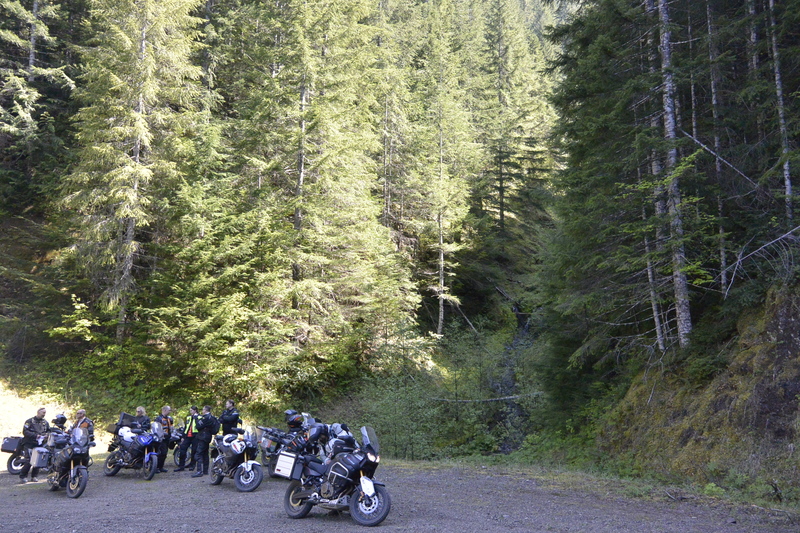 They are guessing the rider hit the corner too fast and high centered the bike throwing him down the embankment a bit. 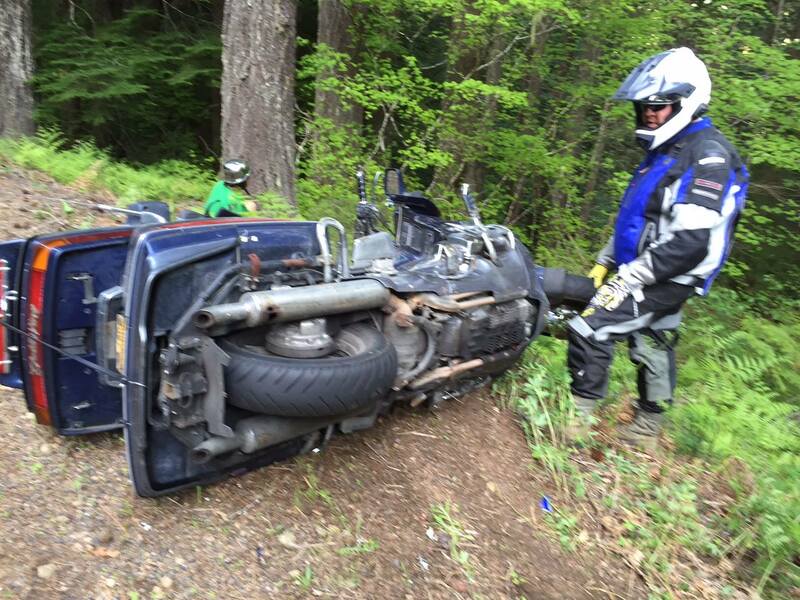 The guys got him in a passing good samaritan’s car for Carson, they said he looked shaken up and might have had a broken collar bone and ribs. 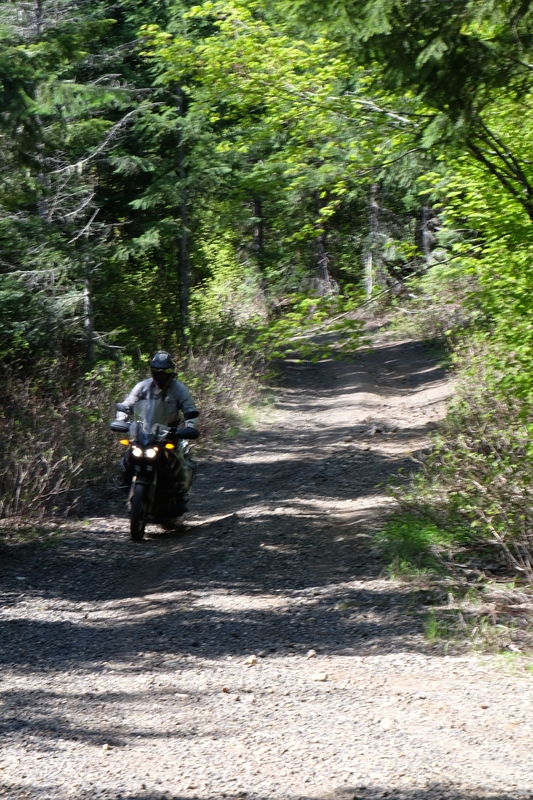 He skinned up his knees, elbows and hands a bit too . 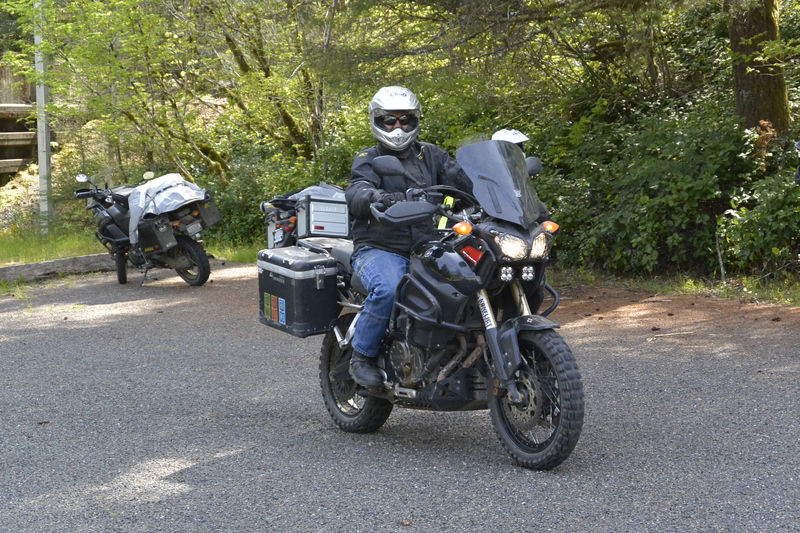 ATGATT people!! 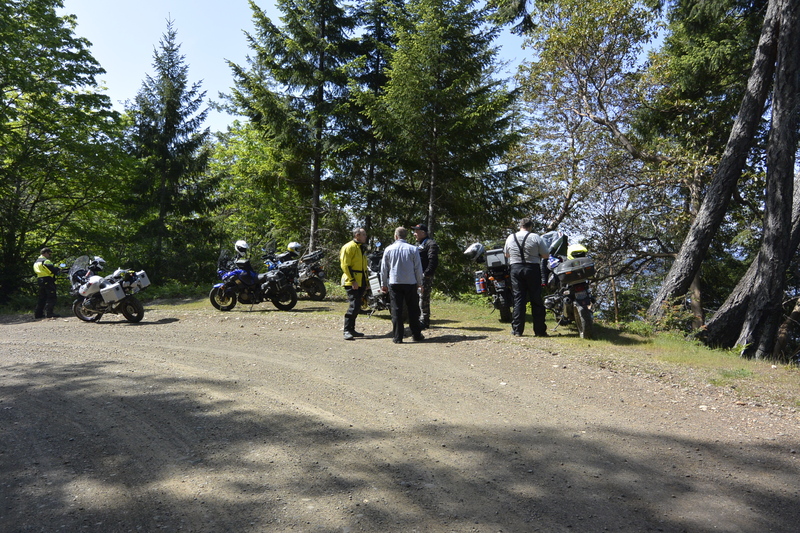 Below are the pics they posted, click on them to see them full size. 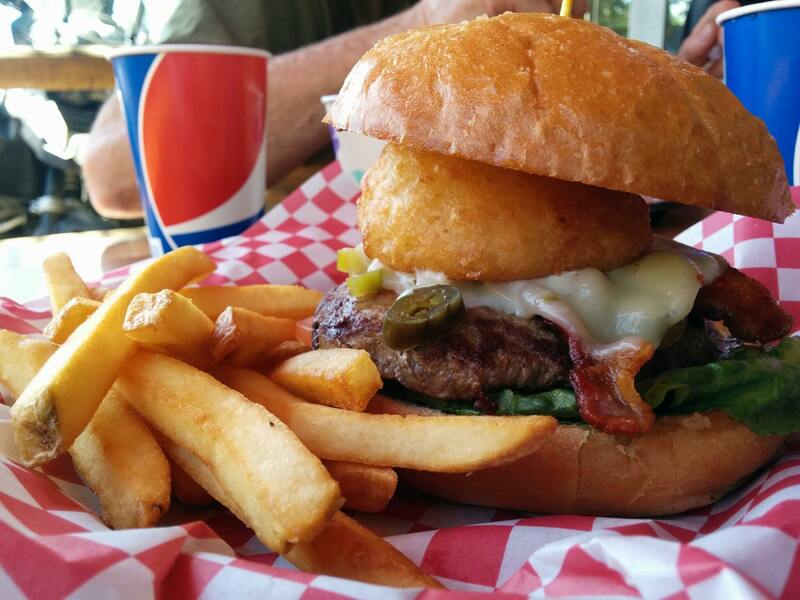 Now thats a tasty burger! 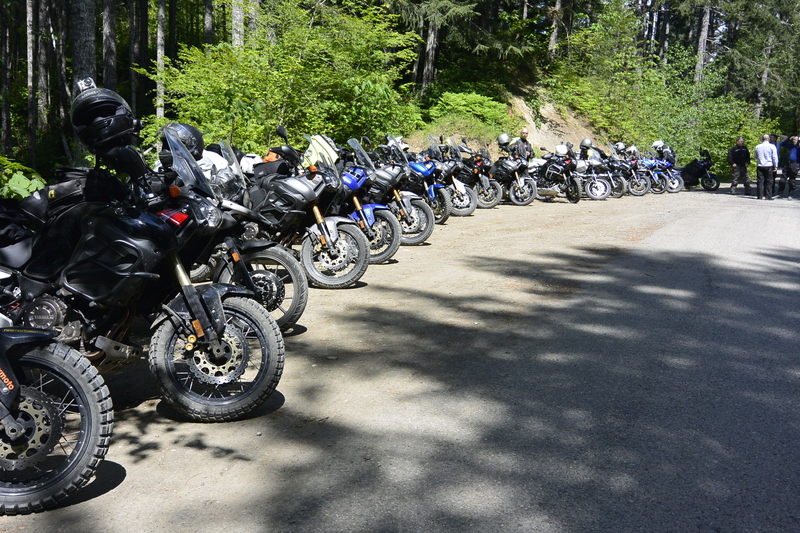 Thanks to everyone that made it out for both rides!